Epic Games is a big proponent of VR, led by its Unreal Engine and the integrated resources it provides to developers. These tools are designed to be compatible with most existing virtual reality hardware, including the Oculus Rift, HTC Vive and Samsung Gear VR. To give you an idea of how strongly Epic Games feels about the technology, CEO Tim Sweeney told us earlier this year he believes virtual reality will "change the world." On the ground at E3 2015, we sat down with Chief Technology Officer Kim Libreri and Unreal Engine General Manager Ray Davis to talk about the state of VR and where they believe it's headed. Both Libreri and Davis think it is key to have a set of standards for VR development, as it would make things easier for every developer, not only those who are interacting with the Unreal Engine. "We wanna make sure that, whatever platform developers choose to use, they're well supported in UE 4," says Libreri, who previously worked on visual effects for The Matrix franchise. Davis adds, "It's always been sort of our [approach] with the engine. Even going all the way back to the original Xbox  and pushing back on Microsoft to make sure they put enough memory in it." He says it's also important to learn the lessons of what works and what doesn't in VR and share this information with developers and companies like Oculus or Valve. For Epic Games and Unreal Engine, one of the main focuses right now is to better understand input, motion-tracking and how those two elements work with VR experiences. "You know, we've got controllers on the horizon; things are gonna be really difficult," Libreri points out, "the first time that you got into a new generation VR experience with Crescent Bay or the Vive, you wanted to touch things." That's expected to be supported by Unreal Engine, along with whatever new methods of input may come up in the future. 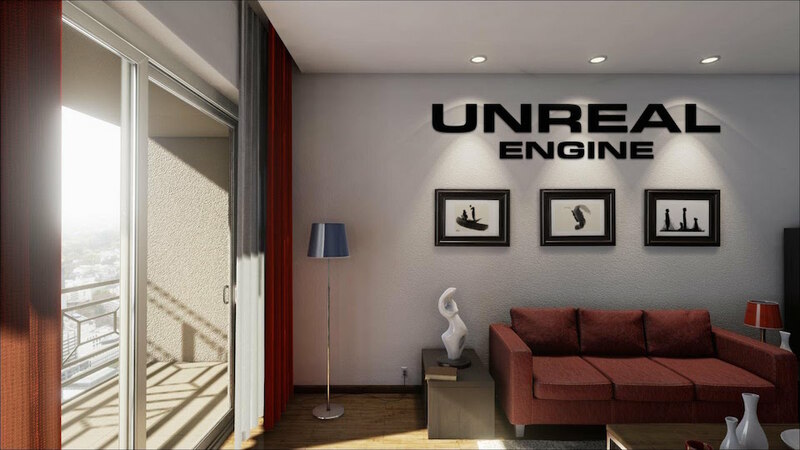 "We just wanna help sort of propagate people's ability to evolve quickly," he says about what Unreal Engine's goal is in the VR landscape. Davis also emphasizes that partnerships between manufacturers, such as Microsoft and Oculus, will be crucial going forward. He believes these types of collaborations could pave the way for VR projects that are, at the very least, enjoyable. "It's actually really, really great that they found that connection, because it's really easy to have terrible VR experiences -- it's like the Wild Wild West out there," Davis says. "On the PC front, having a good partnership between Rift and Windows 10 increases the chances that it'll actually work consistently well. That's always been the Windows problem; it's such a wide-open hardware ecosystem, you don't know what kind of drivers you have or the right GPU, all that kind of stuff." "It's like the Wild Wild West out there." Libreri, for his part, is confident developers will benefit from creating snackable VR, rather than taking on large-scale projects from the beginning. "As we start to think about the evolution of the shooter game or the exploration/action/adventure game, the Uncharted for VR, I think that it's better to experiment initially with smaller, digestible things," he adds. "As a collective, we learn that language quickly."